IT professionals are rethinking remote access strategies to enable a mobile workforce. Whether they are in the office or on the road, people need secure remote access that’s simple to use, so they can be productive from anywhere. Empower your mobile workers with the right level of access to Windows® apps and data, using a solution that IT can trust. 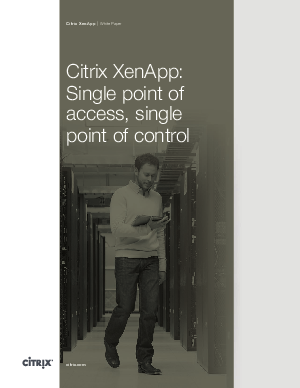 Used by more than 100 million people worldwide in organizations of all sizes, Citrix XenApp is the proven solution for secure remote access.